This is one of our custom gardener gift sets, ready to ship for Valentine's Day. Periodically friends will ask what is a good gardener gift idea and I have several to recommend. Most gardeners don't have enough good gloves. If they do, they are worn by now, or held on to in spite of the frayed edges, because they have some sentimental value. The best gardening gloves have reinforced fingers but still breath through cotton. I also like the longer cuffs to cover my arms when I'm wrestling shrubs and especially rose bushes. I've packaged a pair of my favorite gardening gloves in this custom gardener gift set to make gift giving easier. 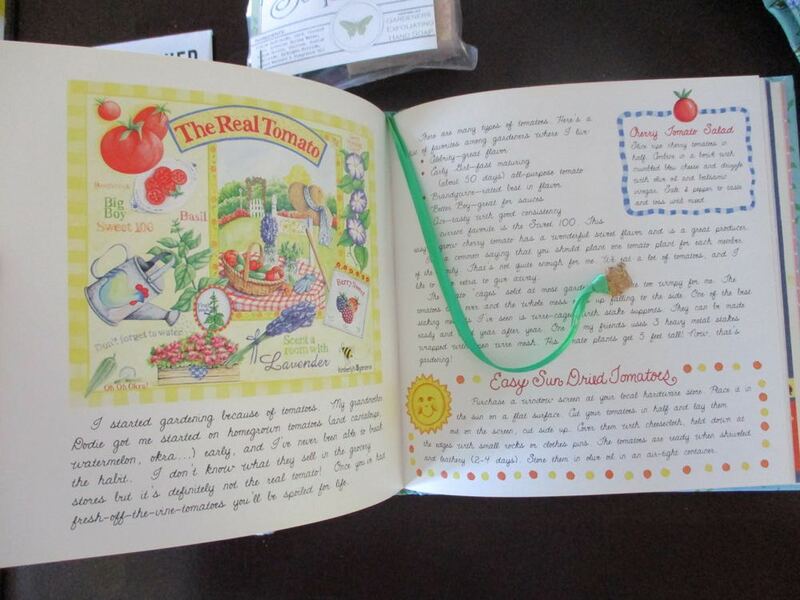 Sneak peek at what's inside this custom gardener gift kit, the book has a charming book mark. Isn't this adorable? Cute bookmark is attached to the book so you don't misplace it. 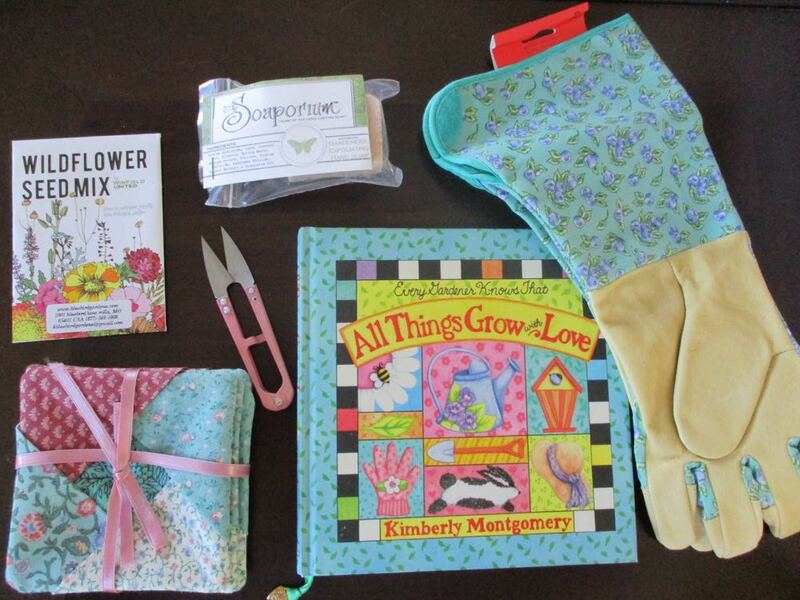 In addition to the wonderful leather gloves, this custom gardener gift set includes a beautiful book with fun recipes; four fabric coasters; thread snips that can be used in the garden to dead head flowers; some wildflower seeds and our long-lasting, handmade gardener soap. There are also three Bluebird Gardens honey samplers but I was going to leave that as a surprise. Sorry, it's no longer avaiable, I sent it to a colleague as a thank you gift.